Part of the appeal of Mr Green is his mystery. Nobody knows who he is, or what he's up to next. We do know he's capable of springing a surprise on the gaming industry, much like causing an upset in football. He's risen through the ranks of the online casino world from his beginnings as a minnow, to now challenging for the top honours. He started out as lowly little San Marino, but is now, dare we say it, starting to resemble England. A challenger. A threat. The real deal. 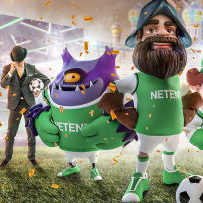 To celebrate the World Cup, Mr Green's live roulette and blackjack tables contain £75,000 of prizes during the tournamet's duration. It's up to you whether you wear your own team's strip while you play online, as nobody knows what Mr Green is wearing right now either, do they? You can dress how you like, as anonymity might be part of the appeal of online gambling to you. There's nothing anonymous about the size of Football Fever's winnings though, so let us walk down the tunnel and on to the pitch together, where we'll explain all. Tempted? You should be. No matter what you're wearing, head over here to get stuck in.